These gorgeous dunes are likely active, with ripples on their upwind slopes and dark streaks on their downwind slopes forming and changing due to wind-driven sand motion. 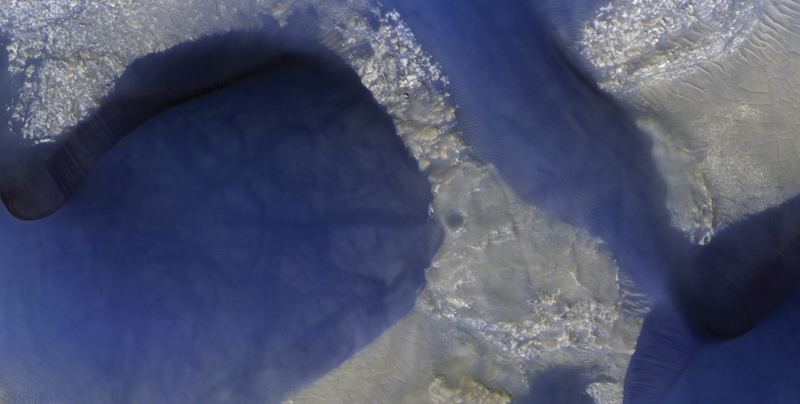 Color has been enhanced to highlight the dunes. This motion will also keep the dune brink (the edge between the two slopes) and bottom edges sharply defined. 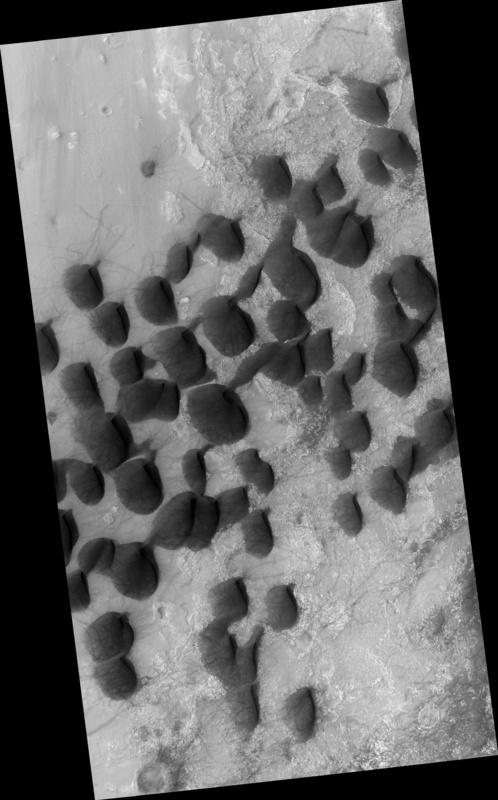 The dark lines and squiggles on the dune slope are formed by passing dust devils. The map is projected here at a scale of 25 centimeters (9.8 inches) per pixel. [The original image scale is 25.5 centimeters (10.0 inches) per pixel (with 1 x 1 binning); objects on the order of 76 centimeters (30.0 inches) across are resolved.] North is up. This is a stereo pair with ESP_021603_1315.